I’m all about trying new things and that’s exactly what I did today. 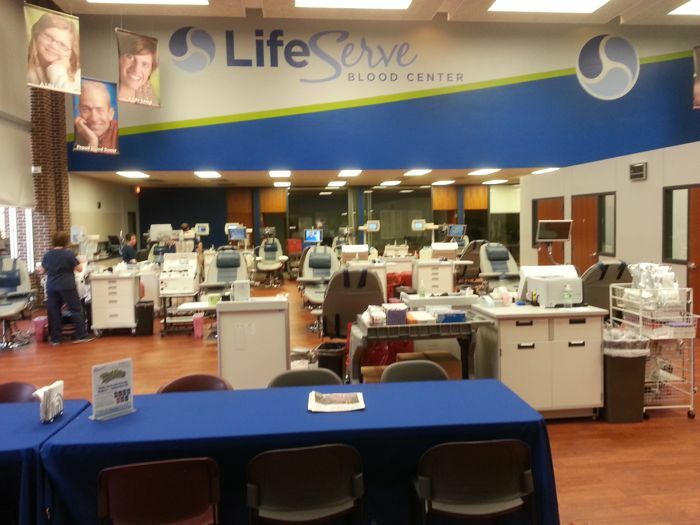 I was slated to do a live broadcast at a blood drive our radio station was sponsoring. 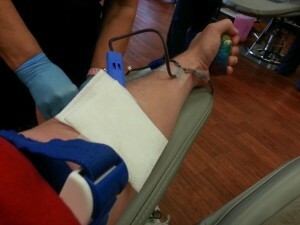 Since I was going to be there anyway, I decided to donate blood for the first time. Needles don’t bother me and I really wasn’t scared. After rappelling down the side of a building and zip lining in the Wisconsin Dells, donating blood, I thought, should be easy. It was easy, but I’ll admit I did have a little bit of nervous energy. My biggest fear was not qualifying. I had been telling listeners on the radio that I was going to do it and would have been embarrassed if for some reason I couldn’t donate. I really did have nothing to fear and the staff at LifeServe Blood Center in Des Moines made the process easy… and fun! In case you’ve never given blood, I thought I’d walk you through the process based on my experience. The first step is getting your name and address into the computer system. 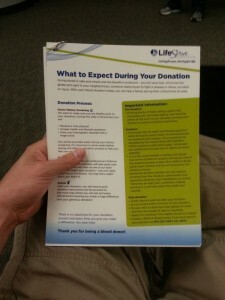 Then it’s on to read all about donating. After that you answer a bunch of questions on a computer. It seemed like a lot of questions but I was OK with that. They’re just doing their job keeping everyone safe. With the computer questionnaire complete it was time for a little testing. A nurse took my temperature, blood pressure, and heart rate. Surprisingly, my nerves hadn’t elevated my blood pressure but they did cause my heart to beat a little faster. After that it was time to make sure my blood had sufficient hemoglobin levels to donate. I can’t remember my number but the nurse was pleased with the result. Then it was off to a donation chair. This was what I had been waiting for! The nurse surveyed my arm for veins. Apparently I have good veins because she did what she needed to do and I saw my blood start flowing into the tube coming from my arm. The instructions from this point were easy. Relax and squeeze a little stress ball every 5 seconds. I chatted with the nurses and before I knew it my donation was complete. I don’t think it even took a full 10 minutes once the blood was flowing. 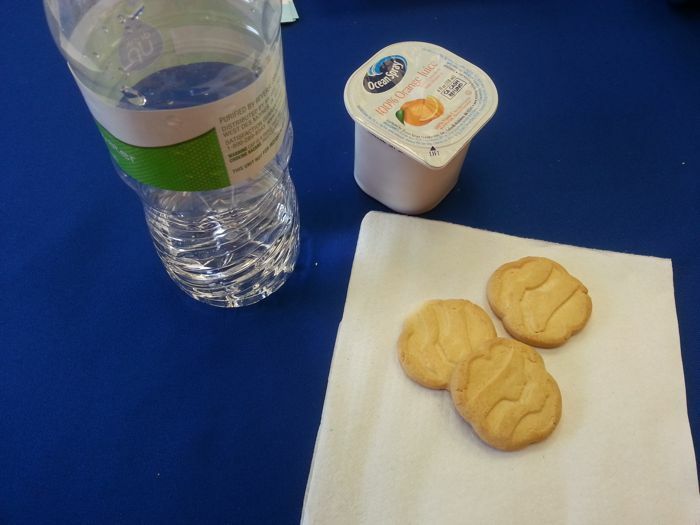 Up next… snack time! This is where you take it easy, drink some juice, and have some snacks. I got lucky and was there on a day they had cookies donated from the Girl Scouts. That was it. Super simple and took less than an hour from start to finish. Next time should go quicker because I’ll already be in the system and have a blood donor card. Did you know that less than 5 percent of the population donates blood but around 90 percent will need blood at some time in their life? I didn’t until today. 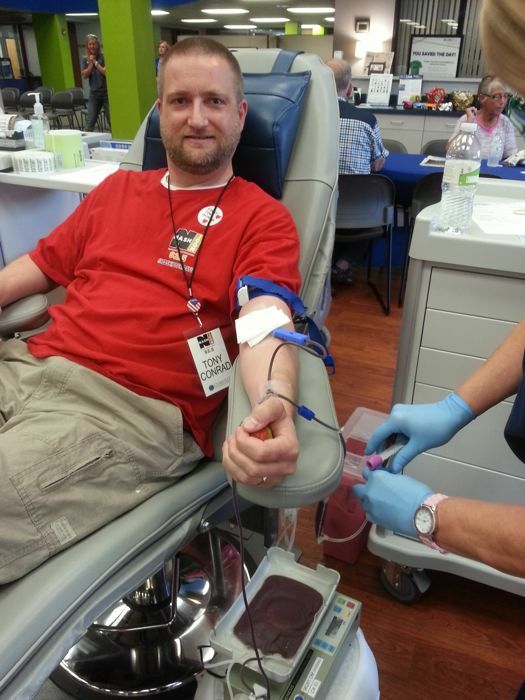 I also learned that that the blood I donated will help save the lives of at least 3 people right here in our area. That’s pretty cool! Donating blood is a really great way to volunteer. It won’t cost you anything and only takes an hour or less of your time. I can’t say enough what an easy and rewarding an experience this was! The staff and the facility were great. If you’ve never given blood before, or it’s been a long time since you’ve given, I challenge you to do it in the next month. Trust me, you’ll be glad you did. 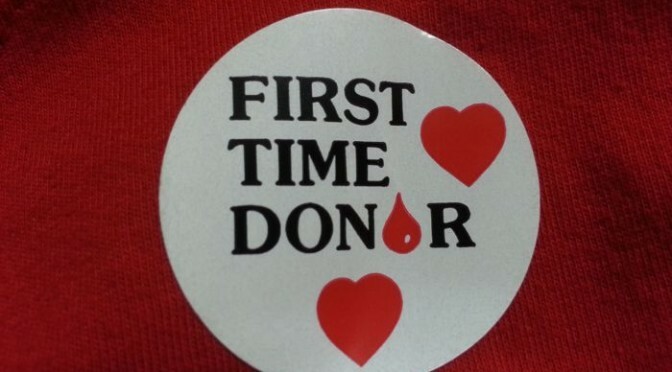 What was your first time donor experience like? Leave a comment and let me know. 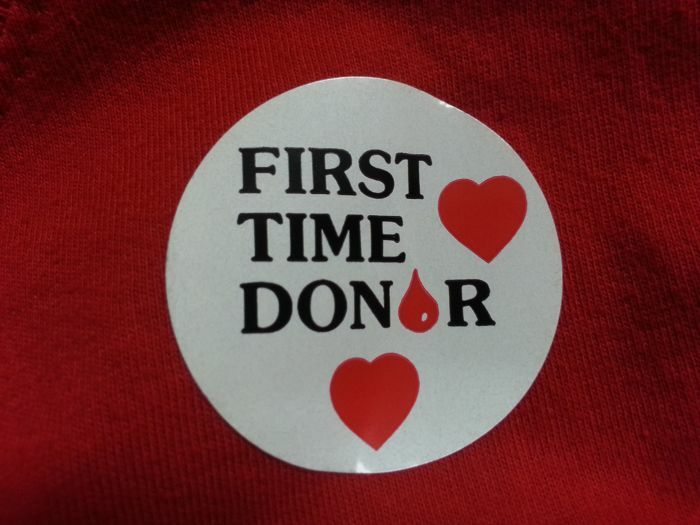 I don’t remember the first time I donated. But it’s been a while since I have and your blog has encouraged me to make an appointment soon!